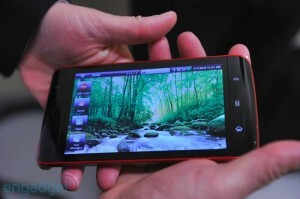 We had reported earlier that the Dell Streak will be available very soon, and now an update. You don’t have to wait too long before you get to see the Dell Streak! Dell has their product page updated which says that the Streak will be launched in late July! July is close to be done with and lets hope to get to see the streak in a few days from now! There are also reports that the Streak would be launching on AT&T soon. Streak comes with loads of features and is the new ray of light for Dell! This Android powered phone as a massive 5-inch WVGA display and a 5MP auto-focus camera with a VGA front facing camera, take that iPhone 4! It has a 512 MB ROM + 512 MB SDRAM which is decent. Lets hope this one does not have the same issues as the iPhone 4! Can’t wait to check it out! You can check out the Dell Streak product page here. Next Olive Pad – The Indian 3G iPad?